Mazda is showing the second concept of their new Kodo design language - or as you might want to consider it...the CX-5 crossover. While we've known for a while that a smaller than CX-7 was on its way, we had to guess at how it would look. The Minagi concept, shown in sketch form here, is way too production ready to be anything other than a thinly-veiled preview of that car - likely to go on sale in under a year. 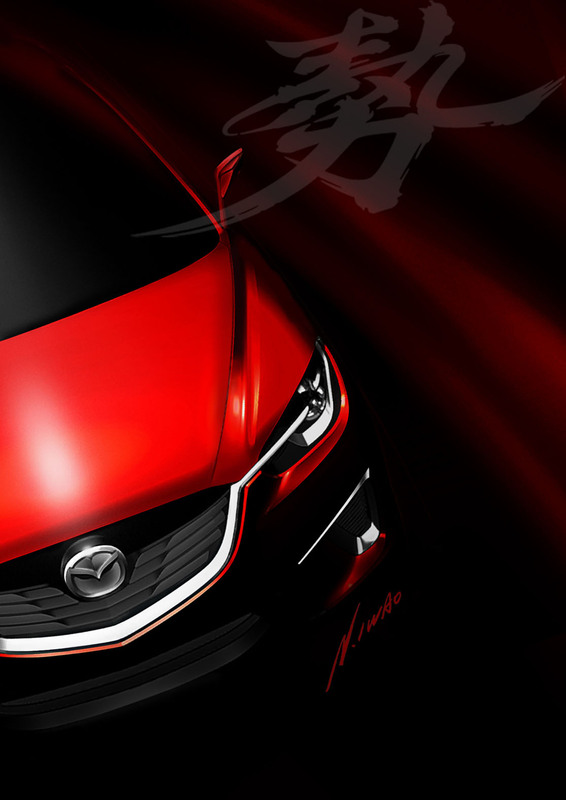 It shows that the new design language for Mazda is much easier to swallow and won't be prone to the previous language's overly-happy criticism.